Cua Tu is a new place, but pristine nature is still preserved until now, there are not many services here, it seems to be a destination not to be missed if you is a fan of trekking nhé! Cua Tu is located 45 km from the center of Thai Nguyen city, in Hoang Nong commune, Dai Tu district. The commune is located in the western part of the district and in Tam Dao Mountain, which borders the highest peak of this mountain range (1,590 m). This is also the boundary commune between the three provinces of Thai Nguyen, Vinh Phuc and Tuyen Quang. 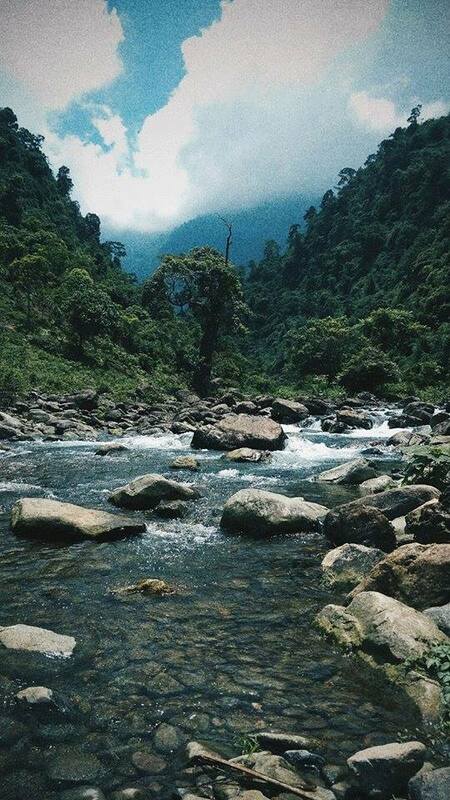 A stream flowing from the Tam Dao Range, along the length of the commune and then into the Cong River, which is the Cua Tu. Located not far from the center of Hanoi (110km), but the destination is always attractive tourist, especially the young passionate Trekking, certainly can not miss a challenging and adventurous place to conquered, explored in the coming summer. Cua Tu is a new place, but pristine nature is still preserved until now, there are not many development services here, but challenges and difficulties are always waving young people. Take a risky adventure to explore the deserted land, seemingly a destination can not not come if you are a fan of trekking offline! To reach this cool stream, you have to cross the rugged pathways, need the guide and the necessary support facilities (life jackets, raincoats, boots, gloves, thermal patches). can safely cross the mountains and forests. Mr. Tung has many experiences after many times with his friends as well as led guests to explore Cua Tu. 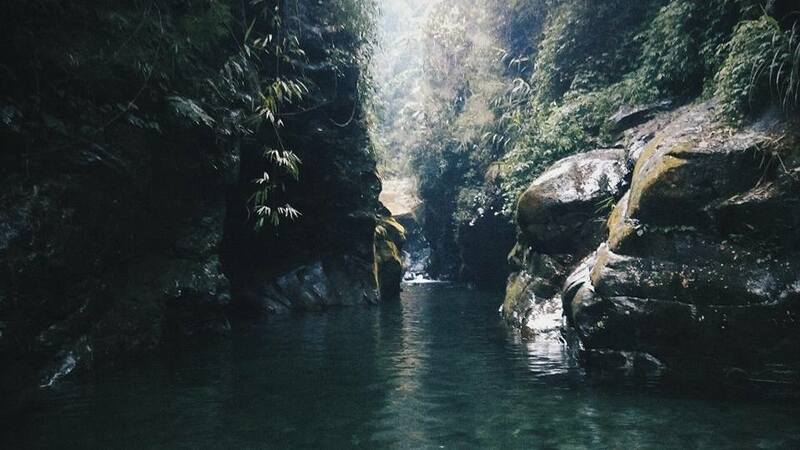 He said: “Cua Tu 1 is a long, deep, deep water, cold water and flowing between the two sides of the cliff, there is a large stone lying across the stream, under the rock is a small waterfall. The path to Cua Tu 1 is quite easy for picnic, camping, photo taking in. From Gate 2 to Gate 7 is for adventure trekkers and explorers. The trough lies between Cua Tu 2 and Cua Tu 3, which is a sliding channel made of stone due to the thousands of years of erosion. Going deep in will meet the waterfalls from high above the foam white foam. To reach the high waterfalls and beautiful water where to go dense forest, slippery and wet. To discover all the door according to Tung must start from 6:30 in the morning to go out, most tourists only go to the 1st Gate is turned out. The process of conquering the Cua Tuu also need to have a conductor who is both secure and guided specific way carefully. Forest stream wading is quite dangerous but no less exciting. After crossing 10km of mountainous forest, beautiful nature appeared in front. In the clear water, print the shade of trees, creating a cool blue water (15 ~ 20 degrees). To go upstream, you have to immerse yourself in the cold water. The white stream erupted from above ten meters into the water, making the clouds of water vapor. Cool water flowed from the mountain cave. Soaking in a slice of water has seen numbness even in the midst of summer. Cua Tu is still wild, rustic, the way to come here difficult, but difficult to stop the foot steps. Trekking trekking offers great feeling, despite the hardships of the wilderness, but the scenery that nature offers to man is so magnificent by the wildness that it brings. In addition to crossing the stream between forests, you can also conquer the sea of ​​clouds. Watch the clouds cover the vast space, cover the high peaks in the distance. If you are well enough to carry on your trekking trip across the stream all day long with specialized photographic equipment, this is what you get after “drying” the night to catch the stars. This is offline. After a day of hard work, camping overnight in the desert forest to enjoy the starry sky in a place without the electric city, to see the beauty of nature from morning until night, singing around fire flame, chat with your friends as well.